This is a very entertaining book! Lizzie is finally a heroine that we can respect. When she kicks Mr Darcy in the face after rejecting him...priceless. I will certainly look for more titles. I think I'm going to like the movie adaption better. Although an interesting twist I had a hard time connecting. I think because of the lack of...civility. I could go into detailed but there were some serious sexist twists for a book that was on the surface making women strong. Furthermore, the sexual nature of the book was off putting simply because the original is a go to when one feels overloaded by the sexual content in mainstream entertainment. Although entertaining and humorous in the beginning, by mid point I started to get bored and only finished it out of curiosity. I can't say this was the most high brow thing I've read all year but I can't resist something that combines one of my favourite books of all time with a genre that is becoming an emerging new love of mine, comedic horror. I'll confess to putting off reading it for a long time but was very glad to see the whole tongue and cheek approach. A good light pre-Halloween read. And, if it could be believed, the story has an even happier ending than the original, with every character getting the outcome they truly deserve. The only major disappointment was the treatment of Darcy and Elizabeth's burgeoning romance, which devolves to something I think is substantially out of character for them but given it's a comedy, I'll forgive. Please, please, please, read the original first. You'll appreciate this even more! Pride I prefer the original. No beginning and there is no end. Why do I require a minimum number of characters to express my opinion. 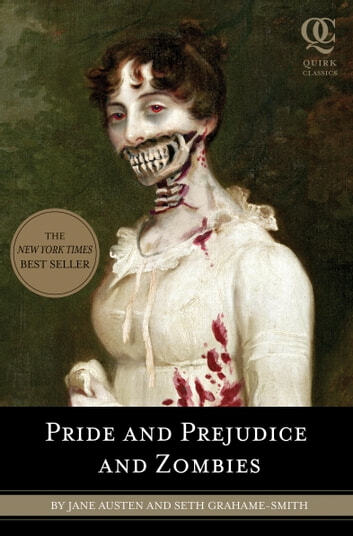 It’s a historical book you would read in a history class with a twist of zombies. There’s action, romance and drama all rolled up into this book. Not bad. However at times I found myself falling asleep.